As you can already tell, I am an open book. So because of that I am going to start this post off with a story from my life of course, as I always do. For the sake of this post I am going to use the fake name "Katie". Here we go. Katie and I are really good friends, we have been friends for 3 years now I believe. Just a couple of months ago she got into a relationship. Which I am so happy about because if you knew the two year connection Katie and her boyfriend had before they got together, you would agree with me when I say they totally deserve each other ( that sounded sarcastic, but I am serious lol). Anyways, through out their dating and what not I had to fight a jealous vibe within me that I didn't realize I had. There was a post I published last week called He Does Not Define You I told a story of my best guy friend. It was probably around the time I finally cut that guy out of my life that Katie's relationship with her boyfriend began to get serious. She always talked to me about " Jacob" ( that is going to be the fake name we give her boyfriend), and I would always listen and give my input. I really loved hearing about what she was going through because I was excited for her, this was her first real connection with a guy. As a good friend, I wanted to be there for her every step of the way. I couldn't help that during me and Katie's conversations, certain thoughts would run through my head..
"What does she have that I don't?" "Really God? So she is ready for a relationship and I am not"
This jealous feeling that I had prevented me from really lifting Katie's relationship in my prayers. Instead my prayers sounded something like this.. 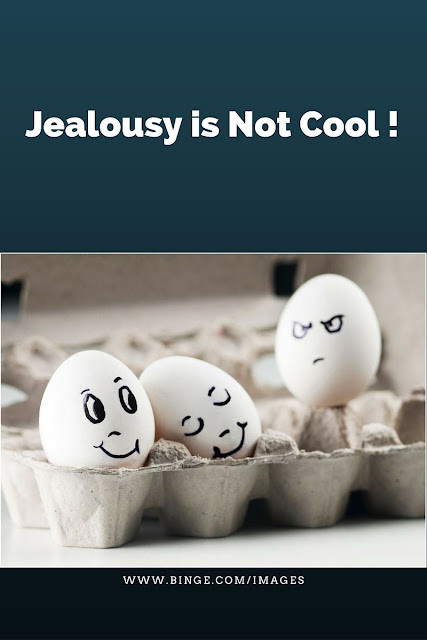 The point of this story is jealousy kills. It prevents you from being your upmost honest self with people. Jealousy also has you focusing so much on other people's lives rather than your own. For the past few months I really had to re-evaluate myself. I had to make sure I was content with who I was and the place God has put me in whether I am in a relationship or not. We are all at different points in our life. God is writing a different love story for each of us. There is absolutely NO need to be jealous of another person because your story will be unique & just right for YOU. Be patient. "To cure jealousy is to see it for what it is, a dissatisfaction with self"